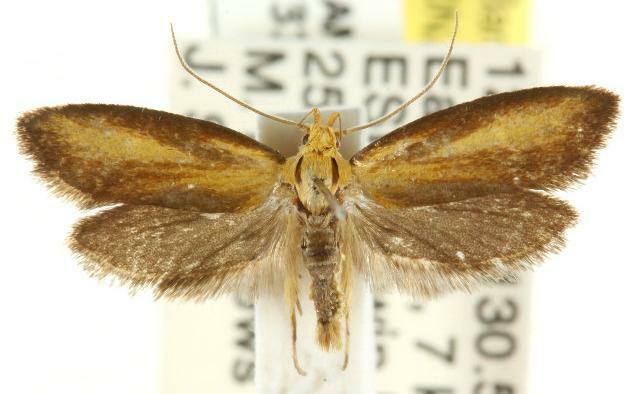 The adult moths of this species have yellow forewings each shading to brown around the edges. The hindwings are dark brown. The head is yellow. The thorax is yellow with a brown stripe each side. The wingspan is about 1.7 cms. CSIRO Publishing, 1997, pp. 262, 295-298. Volume 1 (1915), p. 127.